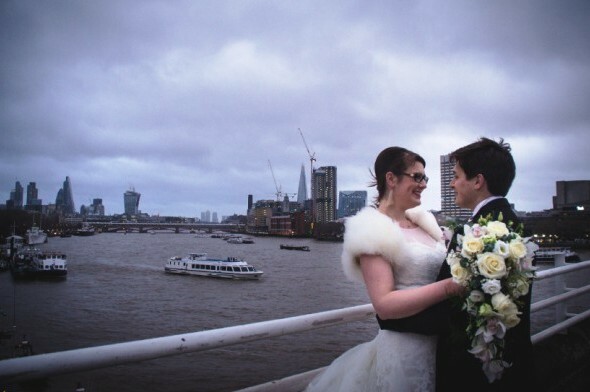 What an exciting, adventurous day we had setting up this beautiful winter wedding at Kings College, The Strand. Working with this 185 year old famous building was a huge honour for both its history and stunning features. 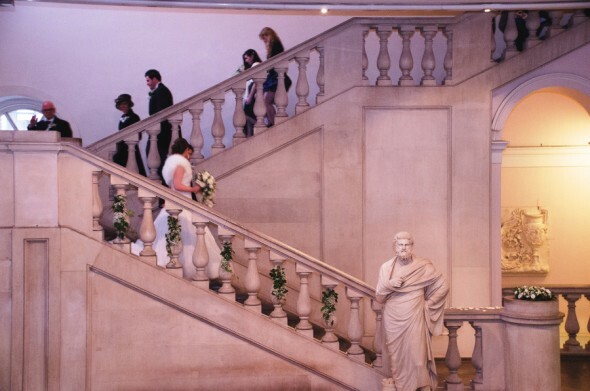 It was hard not to be distracted by its awe as we secured pew ends of gypsophila and ivy up the staircase and scattered rose petals across the marble floors. this wedding we used Gyp, en masse for gorgeous decoration giving a very romantic, whimsical yet affordable effect. 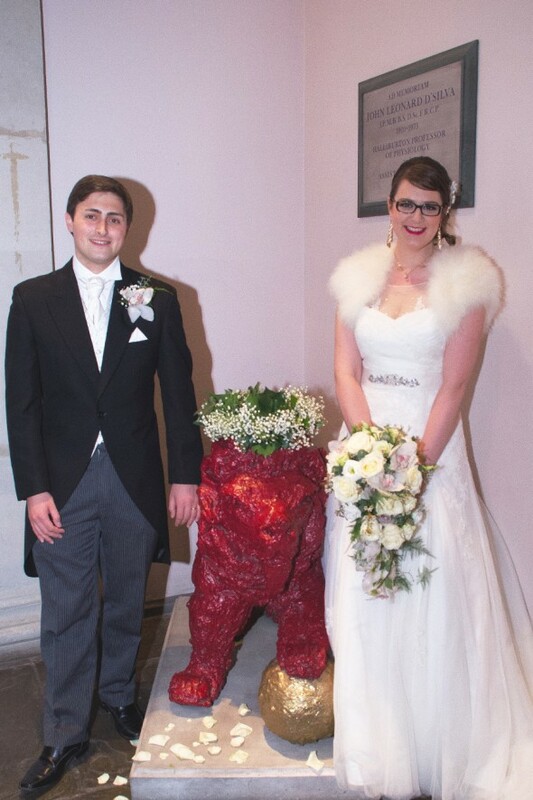 With our supergirl muscles we got two huge pedestal arrangements upstairs and placed them sitting proud outside the doors of the glorious chapel, ready for the guests to arrive! 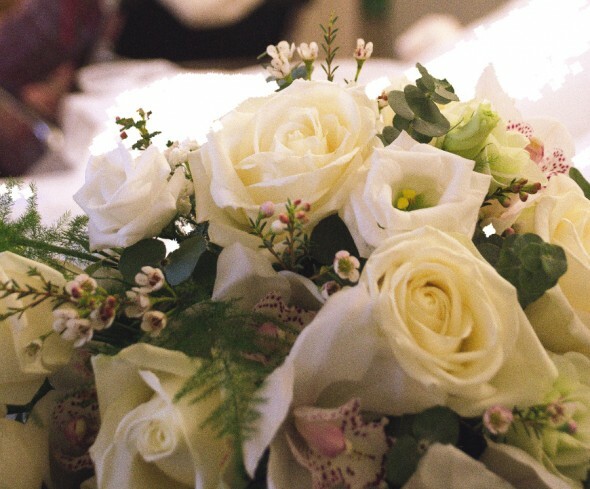 The bride had chosen the perfect combination of colours, soft whites and greens, which suited such a distinctive place. We love the fact that they got married here because this is where they met, a very romantic story, us BelleRose girls are all for the mushy stuff. After setting up here, we had a mad dash across to the Ambassador hotel, a ten minute drive away to set up the flowers for their wedding reception. We overcame whatever hurdles London threw at us and we drove home feeling very satisfied. Thank you Katherine and Sam for letting us be a part of such a beautiful wedding.